Do you dream of an unusual and unforgettable stay ? 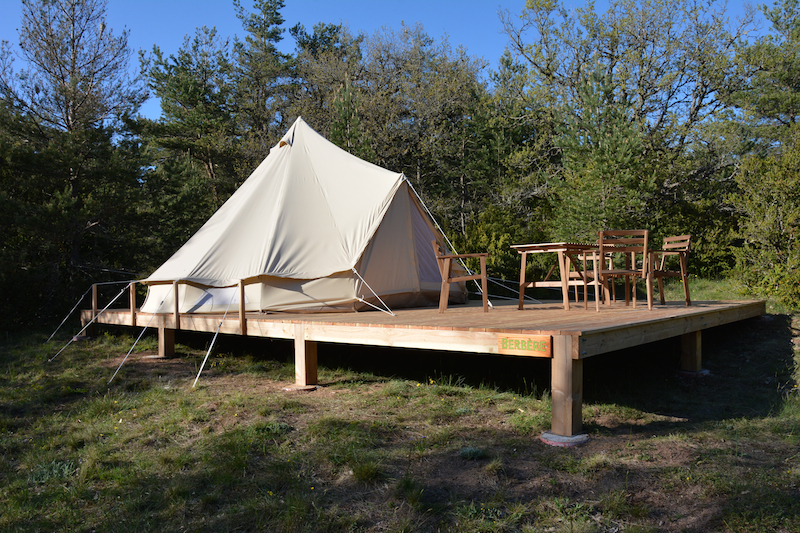 With our new nomad tents mounted on wide wooden terraces, you will enjoy it ! 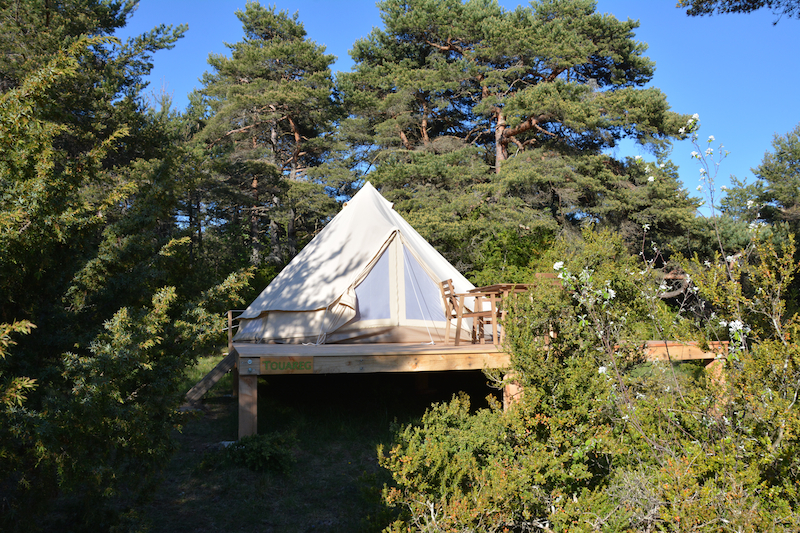 Our five nomad tents are available for rent by 1 night (2 minimum nights in high season), for weekends and short stays or any longer. 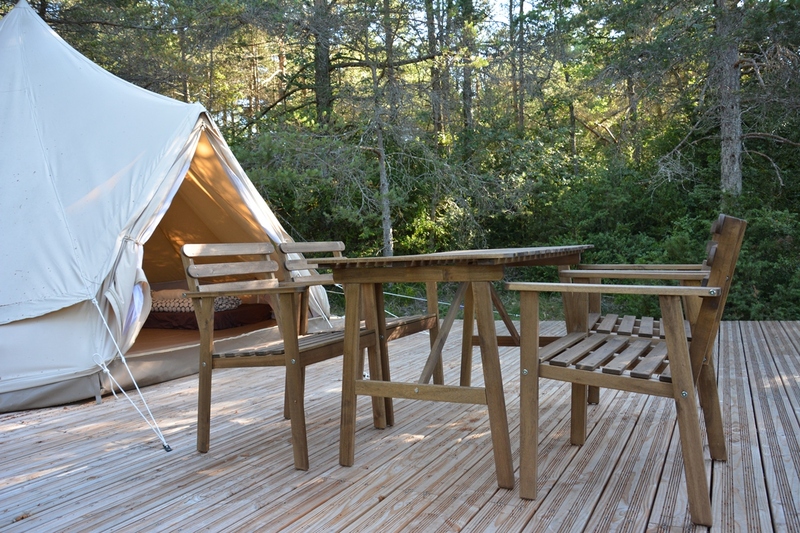 If you want to rest and take your breakfast and meal, a wooden terrace (Douglas fit from local production) of 20m² area in front of the tent entrance will welcome you warmly. 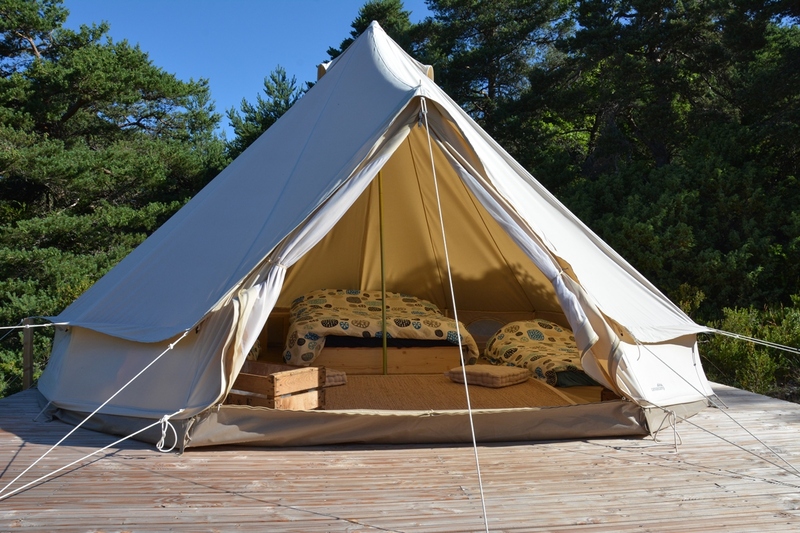 Tent capacity from 2 to 5 people with a wide and flared entrance (180 cm) for easy access and shelter. Inside equipements : comfortable double or 1-person mattresses on wooden bed, sheets, blankets and pillows provided for each occupant. 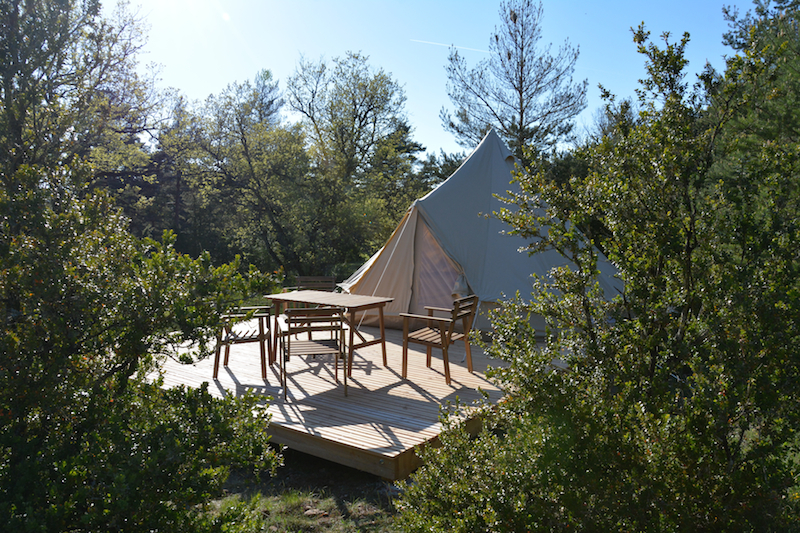 No electrical outlet inside the nomad tents. Outdoor table and chairs on the terrace.